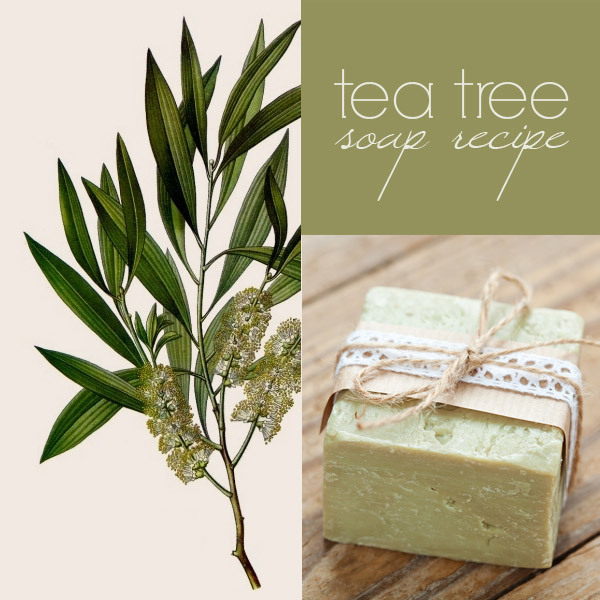 Tea tree oil comes from the leaves of the Melaleuca alternifolia, a shrubby tree native to Australia and New Zealand. It has been used for over 100 years in all kinds of natural products because of its many medicinal properties. Tea tree oil is antiseptic, anti-fungal and antibacterial, which makes it great for people with acne, oily skin, poison ivy, psoriasis, and other skin conditions. This recipe combines gentle, nurturing oils — from olives, coconut, almonds and avocado — with the healing properties of tea tree. 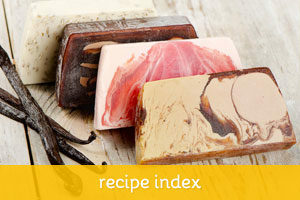 The result is a gentle, cleansing and conditioning bar that will help regulate excess sebum and soothe acne and rashes. Use tea tree oil at .5 to 1 oz PPO (per pound of oils) depending on how strong you like it. Tea tree oil has a very clean, camphoraceous, medicinal smell. Some people love it, some people hate it. If you don’t like it pure, you can create a blend with other essential oils. Some EOs that blend well with tea tree are: basil, bergamot, black pepper, chamomile, cinnamon, clary sage, clove, eucalyptus, geranium, lavender, lemon, myrrh, nutmeg, peppermint, pine, rosemary, rosewood, sandalwood and vetiver. 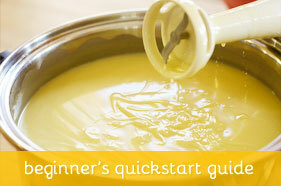 Follow standard soap making procedures. Start by carefully adding the lye to the water and mix until all the lye is dissolved. While the lye-water cools, weight and melt the oils. When both the oils and the lye-water are around 95 degrees Fahrenheit, slowly add the lye-water to the oils and mix with a stick blender. When the mixture reaches light trace, add the tea tree oil (and any other essential oils you want to use) and mix some more until fully incorporated. Pour into molds and insulate for 24 to 48 hours. 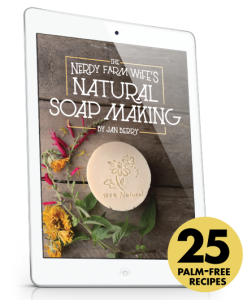 When the soap is hard enough (it may take longer depending on your local conditions), unmold, cut and let it cure in a well ventilated area for 4 to 6 weeks.